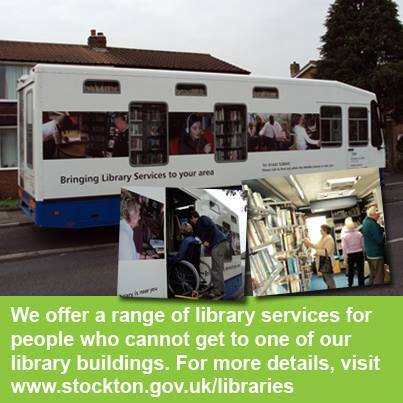 All information is property of Stockton Borough Council and is published and easily available online for the General Public . 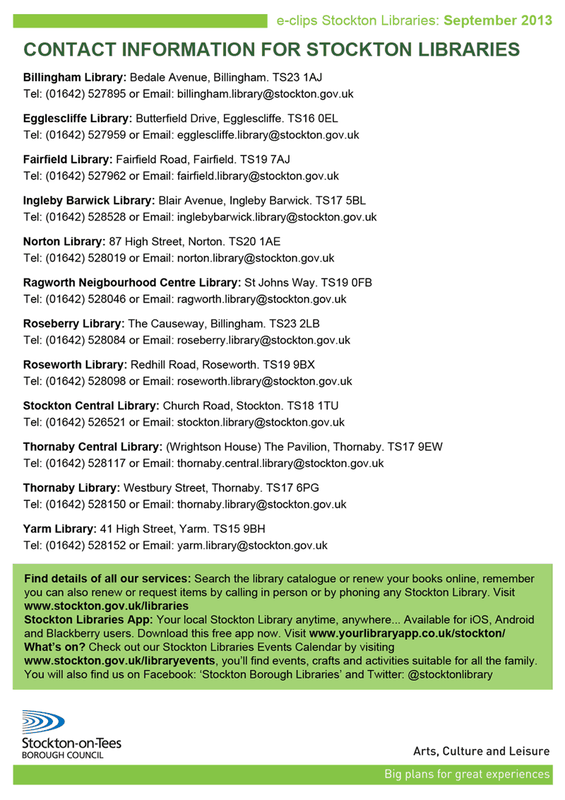 NEW Opening Hours for Stockton Libraries ... 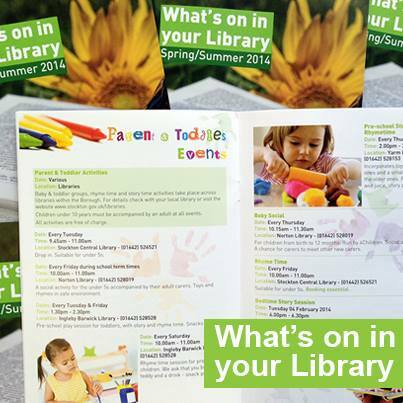 Residents are being reminded libraries across Stockton Borough will be changing their opening hours in the new year. From January 2014, Stockton Council’s branches at Fairfield, Roseworth, Thornaby (Westbury Street), Egglescliffe and Billingham (Bedale Avenue) will have new timetables and both Stockton Central and Thornaby Central libraries will no longer be open on Sundays. Over the coming weeks, the mobile library service will be extending its local visits in those areas where library opening hours are reducing. The new opening times for the five community libraries affected are based on the busiest times and feedback from customers following extensive consultation. Stockton library members can borrow a wide range of e-books and e-audio . Existing library members will need their library card and PIN. to use these services. Those who are not an existing library member (but who do live, work or are in education in the Borough) can email their name, postal address and date of birth to stocktonborough.libraries@stockton.gov.uk to receive a library card by post.